The fall rains are here and we are officially into the tail end of our summer salmon season. It does seem like things have slowed down a bit this past week but it wouldn’t surprise me if we saw one more push of chinook to the Cap with this low pressure system. Time will tell as always. Last Friday there were a lot of fish caught at the Cap and since that day it has been pretty sporadic. Most days we have been getting into a few chinook, but not any big number days. 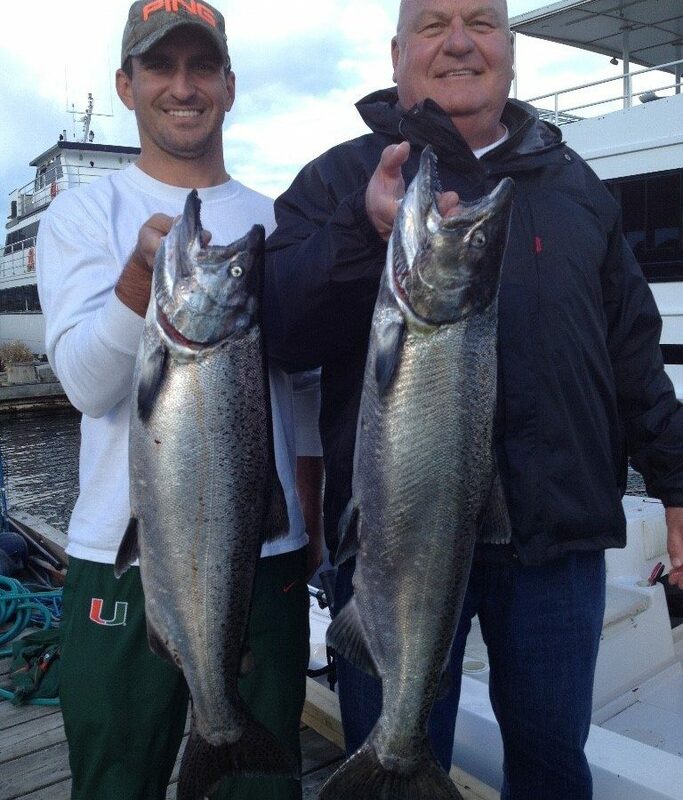 We have been getting a few nice coho while fishing for chinook as well. We haven’t been down to the South Arm since last Saturday but you can see from the test sets that there are good numbers of coho and chum entering the Fraser. If you have the time and the winds allow, it would worth heading down this way. If that is not in the cards for you, the Cap is still a good bet. As long as the rains hold off there will be coho and chinook to be had. It looks like there will be a bit of rain today, but not enough to bring the river up. Long term it looks like we will finally see some heavy rains after the 15th and this will send the last of the coho and chinook up the river, marking an end to the Cap Mouth season. 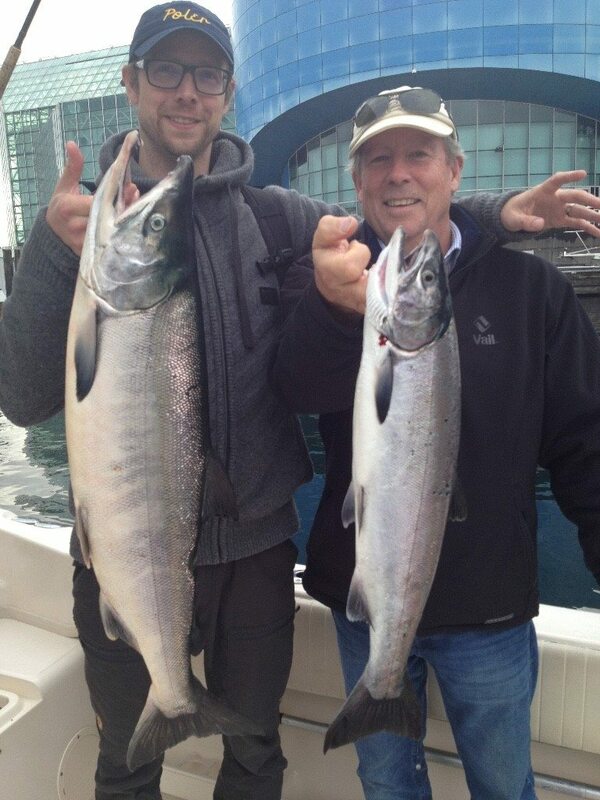 Eddie’s guests picked up these nice chrome chum and and coho on a trip down to S. Arm last Saturday.